Login is restricted to members of the CSAF. 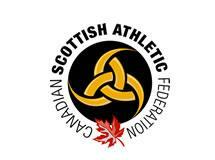 If you are a member and do not yet have a login and password or have forgotten them, please contact Russ Campbell at csafruss@gmail.com. CSAF data entry accounts are for the purposes of adding group results for any Canadian competitions. Having a login comes with the responsibility to make sure Games results are recorded in full for historical and information purposes, not just individual athletes’ results (including other nationalities). Results entered will be for complete classes and Games, as opposed to individual athletes. The exception is that data for all Canadians present is acceptable only for foreign competitions (eg Scotland, USA). CSAF intends the DB be as complete as possible for all involved in Heavy Events in Canada (eg ADs, Games organizations) not just the athletes. Other than ranking, the purpose of this database is to automate the collection of a correct history of the sport’s competitions in Canada. Enter the results once in the class as competed and the database will sort it as required to the various rankings. Other than a brand-new athlete, all athletes already have profiles. Please use the EXISTING ones as you complete score sheets as to avoid triggering multiple profiles for the same people (for example; the DB sees Mc’s and Mac’s as two different people). Selecting athletes properly will reduce errors and multiple/partial profiles for individuals. Also, make sure you do the final step of ‘publishing’ the data to the website to enter it and trigger recalculation of all rankings. Implement weights and measurements are assumed to be verified prior to competition. In a few cases implements have been proved to have been a few grams light to count as Canadian records upon the required re-weigh, but these still are accepted in the database provided the implement was thrown in good conscience and with the understanding it was legitimate at the beginning of competition. See the process for verifying records separately. DB account holders and athletes found to intentionally duplicate, ‘pad’, alter or misrepresent competition results may have their database privileges (including rankings) revoked. By adding results you are certifying that you understand the above and that accepted CSAF, Heavy Events and Games rules apply and that the results are from an event that is a legitimate and defensible competition.